On Wednesday December 12th, 2018, TAMID at Baruch College was honored to attend the closing bell at the NASDAQ Stock Exchange in Times Square New York. TAMID at Baruch members pictured during the closing bell ceremony; Jared Isaac, Simone Amar, Matt Curcuru, Samuel Levinson, Jamie Yatcha, Amit Agwaral, Elie Levine , Rachel Wahba, Gregory Naco, Moksha Mahey, Anderson Mejia, William Ness, Zev Ben-Ami, and Gil Rafael. A select few TAMID members of the Baruch chapter witnessed the closing bell ringing by the First Federal Bank of Wisconsin, celebrating the 1-year anniversary of the banks IPO with NASDAQ. Upon entering the MarketSite Studio, guests were welcomed by the iconic white podium in front of various displays of the banks ticker, FFBW. As a finance major, attending such an event was an invaluable opportunity to understand and experience the 2nd largest stock exchange in the world, in action. During the closing bell, there was an electric energy in the room fueled by the applause and cheers, which formed an atmosphere of opportunity, freedom, and promise. As the ceremony came to a close, TAMID members took the stage and gathered around the podium for photos with the TAMID logo on display! 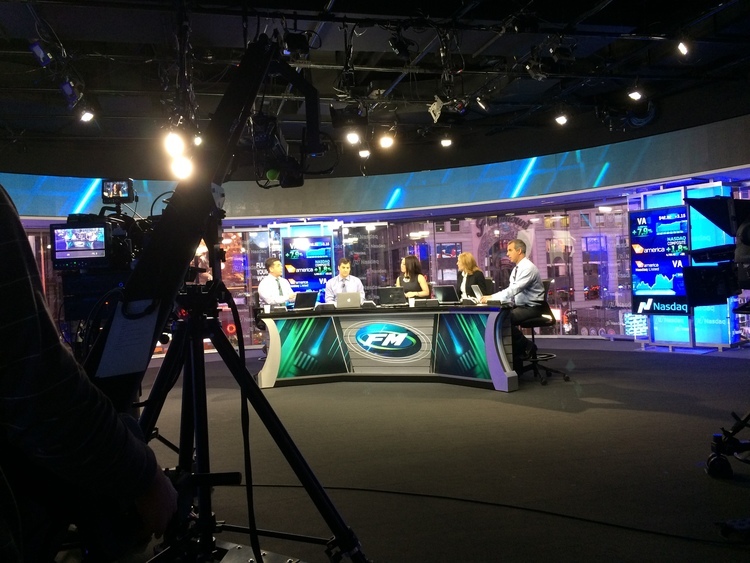 Finally, TAMID’S host for the trip, Daniel Horowitz, was gracious enough to give members a tour of the set of CNBC’s Fast Money, where market conditions are discussed live on week days. Such events are one of the many reasons why TAMID Group is such an exciting club to be a part of. I look forward to many more amazing experiences as a member of TAMID and utilizing the NASDAQ Trip for any professional meetings or interviews that may present themselves in the future. 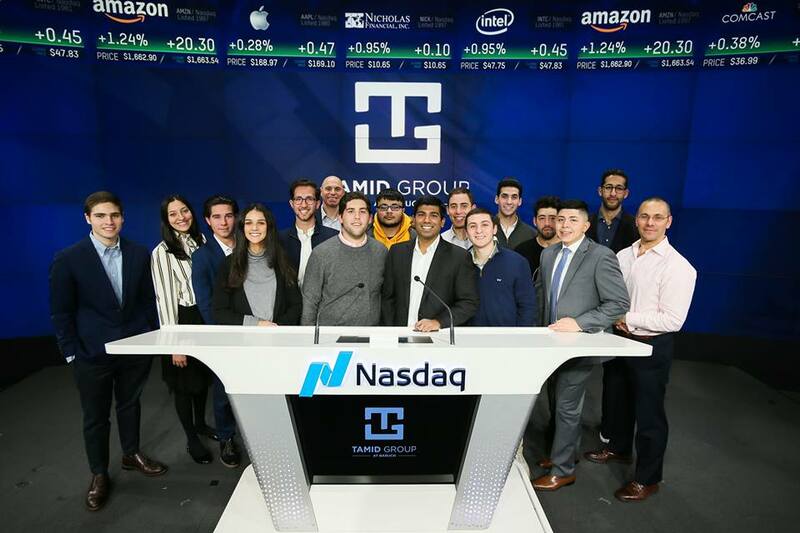 The NASDAQ trip was an exciting, and valuable learning experience for TAMID members at Baruch College. TAMID Group at Baruch would like to formally thank Mr. Horowitz for his invitation and generosity.